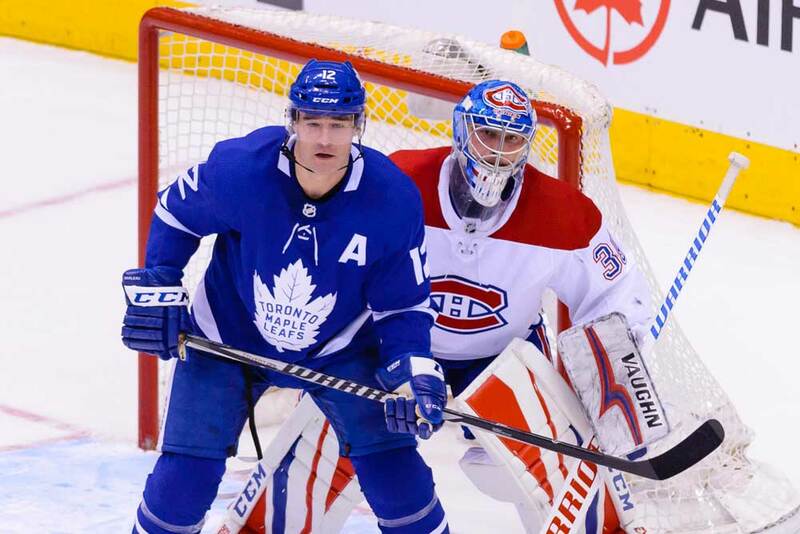 It’s generally believed the NHL is a young man’s game today, but try telling that to Toronto Maple Leafs forward Patrick Marleau. He’s one of the oldest players in the game at the moment and is currently enjoying his 21st season in the big leagues. Marleau, who hails from Swift Current, Saskatchewan, was drafted way back in 1997 by the San Jose Sharks with the second overall pick. He was still a teenager just a few months later when making his NHL at the age of 18 and by the time he left San Jose for the Toronto Maple Leafs he was 37 years old. After 19 seasons on the west coast and several of them as Sharks’ captain, Marleau signed a three-year deal worth $18.75 million with the Leafs during the 2017 offseason. He left San Jose behind with some very impressive numbers as he scored 1,082 points on 508 goals and 574 assists with the club in 1,493 regular-season contests. He was also a consistent playoff performer with another 110 points in the 177 postseason games on 68 goals and 52 helpers. Toronto fans and management were expecting that same level of consistency when he arrived in town and Marleau didn’t disappoint by notching 27 goals and adding 20 assists in 82 games last season. He mainly played on the left wing with Nazem Kadri and center and sophomore Mitch Marner (now Kapanen) on the right side. However, he was sometimes used at center by coach Mike Babcock when Auston Matthews was sidelined with a shoulder injury. While playing with the elder statesman, Kadri enjoyed the second best offensive year of his career with 32 goals and 23 assists while Marner was one of the top wingers in the league with a career-best 22 goals and 47 assists. Marleau’s playoff experience was also evident as he netted four goals and an assists in the Leafs seven-game defeat at the hands of the Boston Bruins. Heading into the 2018/19 campaign Marleau had reached the 20-goal mark 15 times in his 20 seasons and the 30-goal mark seven times with his and has scored 30 or more on seven occasions with his high point being 44 goals in 2009/10. He may have gotten off to a somewhat slow start this year, but still had 12 points after his first 21 games, including his 600th career assist. But along with his scoring ability, he’s well known around the league for his skating ability, fitness level, and leadership skills. This allows Marleau to keep up with the Leafs youngsters and offer them some fatherly advice when required during the long six-month season. Marleau began this season on the Leafs top line with the 21-year-old Auston Matthews at center and veteran Tyler Ennis on the right side. That experiment didn’t last too long though after a slow start as Ennis was moved down the lineup and Matthews suffered yet another injury. Marleau was then reunited with Kadri and Marner and all three of them saw their point production pick up. It’s unclear how long the line will stay together once Matthews returns and if the Leafs eventually sign restricted free agent forward William Nylander. It’s possible Marleau and Matthews will play together again and it would be a natural pairing since they have forged an excellent relationship off the ice. If they could form the same type of partnership on the ice it would definitely be a bonus for the team, especially if Nylander is signed. Marleau has basically seen and done it all during his distinguished NHL career, but he’s yet to hoist the Stanley Cup. He knows his time to do so is running out and that’s one of the reasons he signed with the upstart Leafs. He did play in one Stanley Cup Final with San Jose, but the Pittsburgh Penguins ousted them in 2015/16. In theory, Marleau has two more chances as winning a championship as he’s got one more season on his contract after this one. The Leafs have evolved into a fine regular-season team, but still haven’t made it past the first round of the playoffs in the past two years. They may be one of the favorites to win it all with the oddsmakers, but Marleau’s smart enough to know being a favorite means nothing if the players don’t work as hard as possible every night on the ice. As for his personal achievements, Marleau holds numerous club records with the Sharks as well as being named the team’s player of the year three times. He could possibly finish his career with at least 600 goals and 600 assists. He’s climbing the ladder for games played as he started the season in 11th place on the all-time list with 1,575 under his belt and also had 103 game-winning goals to rank seventh in that category. It’s possible Marleau could keep playing after his current contract expires due to his fitness and skating ability. Whether he would remain in Toronto remains to be seen though. He’s skated in over 720 consecutive regular-season outings since April, 2009 and the way he’s still playing he’d love to add a couple of hundred more games to that achievement.